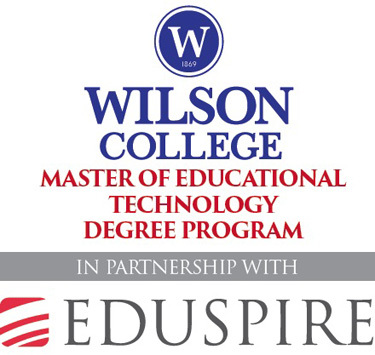 Wilson College in partnership with Eduspire would like to feature some of its recent graduates from the Master of Educational Technology degree program as they share about their unique experiences. 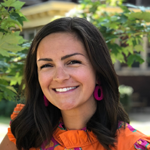 Meet Emily Skelton, a Life Skills Support Teacher in the Millcreek School District. Q: Emily, what have you enjoyed most about the MET program? A: "I enjoy the flexibility of the program and working online." Q: How has the MET impacted your classroom instruction? A: "I have learned multiple new ways to incorporate technology in the classroom in ways other than Chromebooks and iPads. I have learned ways to use various apps on these devices to enhance student learning." Q: Has there been an instructor in the MET program who you found particularly outstanding (and why)? A: "I LOVE taking classes with Robin Seneta. Not only is it a plus that she is local to me, so I have been able to take face-to-face courses with her, but she is also very motivating and upbeat. Her courses are fun and engaging and I have enjoyed taking courses with her." Q: How has the MET program helped you to achieve your career goals? A: "I already have a Master's Degree in my content area (Special Education). However, technology is becoming an important part of education. I enjoyed taking iPads in Education and then Chromebooks in Education, so I decided to go ahead and pursue another master's program. I am hopeful that this will allow me to continue to advance in my career in the future." Q: Would you recommend the MET program to a colleague, and why? A: "Yes — to anyone looking for a degree that is flexible and online. I love the feedback from the teachers I have had thus far." Q: What influenced you most to enroll in this MET program specifically? A: "I enjoyed taking the two courses that I started off taking and thought I would definitely want to take more courses. It was then that I decided to go ahead with the MET program."